Combined analysis (e.g. thermal stresses estimation in CalculiX based on OpenFOAM® CHT data) can be conducted based on a single CAD input. CastNet allows a high quality geometry import based on CAD kernel data. There is no need to repair the CAD geometry, and volume information is preserved. simplifies the case setup for CFD region models, e.g. Porous, MRF, AMI rotating, CHT. enables the user to easily combine different mesh topology regions, e.g. free mesh regions with extrude meshes. For FEA applications, assemblies with a manifold geometry representation can be used. Flexible usage including model exchange between Windows and Linux operation systems. 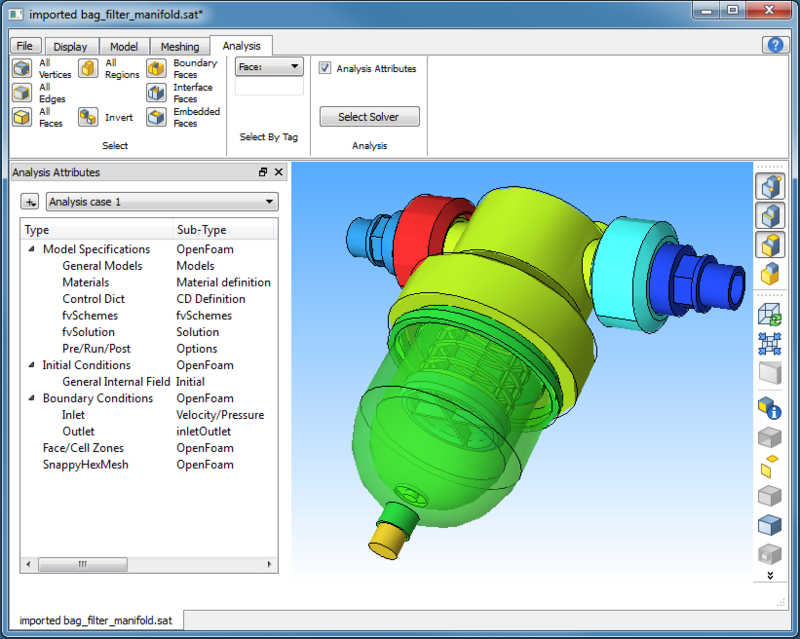 Fast, reliable and error-free case setup for meshing and solver settings by predefined templates.